Anthony Gaud likens the current environment for esports in the U.S. to a period in the late-19th century rife with uncertainty for American baseball. Back then, a number of leagues with competing interests engaged in an intense turf war to attract elite players. Without a strong central authority at the league level, the talent pool became saturated. The same could be said for esports today. The first edition of ICE North America, Clarion Gaming's influential exhibition and conference running across May 13-15 in Boston (MA), USA, has secured a notable coup with confirmation that legendary sports icon, Olympic champion and prominent television personality and philanthropist, Sugar Ray Leonard, will provide a keynote motivational address at what is set to be the 'biggest sports industry gathering in gaming’. Sugar Ray Leonard, who has established a legacy that epitomizes boxing and invokes the reverence of a champion, will join the MVPs of sports betting and interactive gaming in Boston, providing insight into his celebrated career as well as giving attendees a chance to see and be inspired by the first boxer to win world titles in five different weight classes. 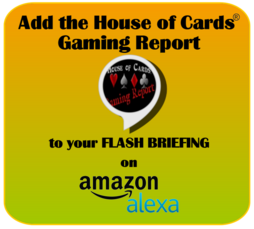 This week’s stories include Pennsylvania’s record setting month, new CEO for Caesars and sports betting and Jeopardy. 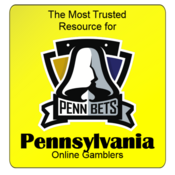 On Wednesday, Pennsylvania gaming regulators said at a hearing in Harrisburg that the state’s online casino gaming will kick off in 90 days, setting the stage for a July 15, 2019 launch. State lawmakers legalized online gambling in 2017, but the implementation has taken quite some time. The launch was recently delayed thanks to a January Department of Justice memo on the 1961 Wire Act that forced PA regulators to make sure all facets of internet gaming would happen within state borders. This week Glyn Ottofy, CEO of TeamPoker.com, returns with the latest updates on his company. Then we chat with author and entertainer Andy Martello about his book the King of Casinos. 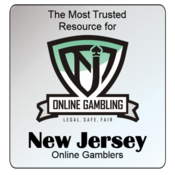 Sports betting has been a boon for New Jersey. The state’s casinos have generated more than $150 million in revenue since sports betting went live in June 2018. In addition to the direct revenue, NJ sports betting is paying off in other ways. Atlantic City casinos have reported increased foot traffic during big events such as the Super Bowl and March Madness. Singapore’s two casinos came out of the gate strong in 2010 with estimated gross gaming revenue of US$6 billion. The city appeared poised to join Macau as a second Asian jurisdiction surpassing the Las Vegas Strip in GGR. But Singapore’s 2019 GGR was US$5.9 billion. Last week, Singapore granted Marina Bay Sands and Resorts World Sentosa long desired paths to growth, an offer they couldn’t refuse in the tradition of Don Vito Corleone. Heralding the strategic partnership, Kate Chambers, who traveled to San Diego for the signing ceremony said: “I am delighted to be working with the team at the National Indian Gaming Association which is responsible for such a well-respected and influential event. Ernie Stevens, Jr has worked tirelessly to educate and raise awareness of the positive impacts of Indian gaming. During his period of office, Indian gaming revenues have risen to over $32.4 billion making Tribal Government Gaming the largest segment of the industry in the United States, passing Commercial Gaming. It is a great honor to be working with Chairman Stevens and to be able to draw on his insight as we seek to deploy the ICE brand in different continents and deliver opportunity for all of our stakeholders." This week we interview Angelica Hael, World Poker Tour Vice President - Global Tour Management, about the upcoming WPT Season. Then, Ashley chats with craps pro and author David Medansky.